Nipsey Hussle’s murder has sent shock waves through the hip hop community. 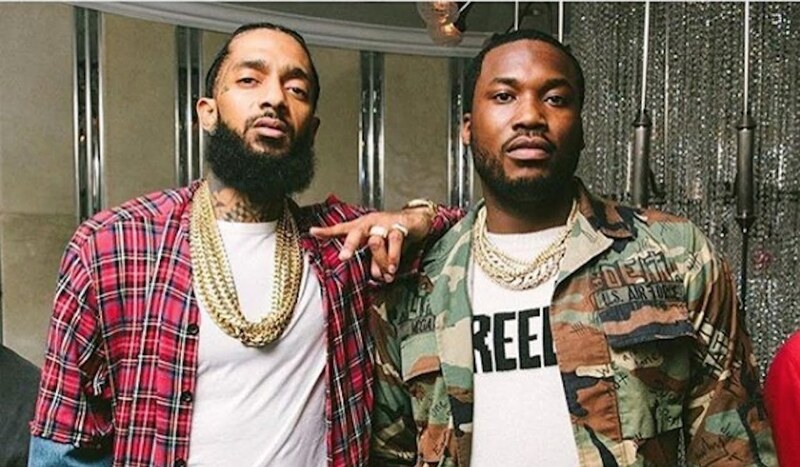 Drake, Rihanna, Meek Mill, Pharrell Williams, K Michelle, SZA, Ella Mai, Snoop Dogg, Rich The Kid, Offset, MC Lyte, and many more artists have shared their reactions o Nipsey Hussle‘s passing. The Victory Lap rapper was shot and killed just outside a clothing store he owns in Hyde Park on the South side of Los Angeles. Two other men were also shot in the incident and their condition is unknown at this time. “This doesn’t make any sense! My spirit is shaken by this! Dear God may His spirit Rest In Peace and May You grant divine comfort to all his loved ones! I’m so sorry this happened to you @nipseyhussle,” Rihanna wrote. “BLACK MAN ON A JOURNEY OF POSITIVITY KILLED THIS A SHAME TO OUR CULTURE REST UP HOMIE,” Offset wrote. Prayers for my lil bro. @nipseyhussle ???????? ?need all my angels right now ??? MY GOODNESS GRACIOUS ! !’ What a brilliant human ! Omg I can’t believe it!! You were SO KIND AND COOL!! HOW!! thank you for always speaking your TRUTH !!!! I’m so grateful for everything you’ve ever taught me and ppl like me from just watching you speak and listening to ur music . May God bless your spirit . sending INFINITE love to @laurenlondon and your family???? .i can’t believe this ?.